This final paper of Part II concludes a thorough review of the scientific events leading to the discovery of the human genome, the purification and identification of the components of the chromosome and the DNA structure and role in regulation of embryogenesis, and potential targets for cancer. The first two articles, Part IIA, Part IIB, go into some depth to elucidate the problems and breakthoughs encountered in the Human Genome Project, and the construction of a 3-D model necessary to explain interactions at a distance. Part IIC, the final article, is entirely concerned with clinical application of this treasure trove of knowledge to resolving diseases of epigenetic nature in the young and the old, chronic inflammatory diseases, autoimmune diseases, infectious disease, gastrointestinal disorders, neurological and neurodegenerative diseases, and cancer. Recently, large studies have identified some of the genetic basis for important common diseases such as heart disease and diabetes, but most of the genetic contribution to them remains undiscovered. Now researchers at the University of Massachusetts Amherst led by biostatistician Andrea Foulkes have applied sophisticated statistical tools to existing large databases to reveal substantial new information about genes that cause such conditions as high cholesterol linked to heart disease. available computer software and can be applied broadly to advance genetic knowledge of many diseases. represents a low-cost tool for investigators. studies to formally test at a new, locus-level, association. contain several genetic signals for disease variation clumped together in one region. regions that have a consistent signal above normal variation. a well-studied molecule associated with coronary artery disease (CAD). The Lp(a) molecule has both atherogenic and thrombogenic effects in vitro , but the extent to which these translate to differences in how atherothrombotic disease presents is unknown. levels of Lp(a) and, as a consequence, strongly associated with CAD. as well as to other thrombotic disorders (eg, ischemic/cardioembolic stroke and venous thromboembolism). 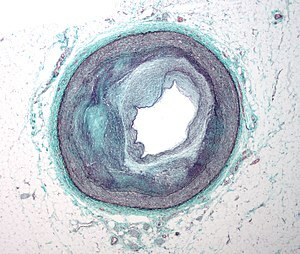 Such distinctions are important, because therapies that might lower Lp(a) could potentially reduce forms of atherosclerosis beyond the coronary tree. widen the generalizability of their results. in a small subset of individuals, myocardial infarction. functional heart from embryonic heart cells — providing new clues into the genetic basis for some forms of congenital heart disease. blueprint” for how a heart becomes a heart. These findings offer renewed hope for combating life-threatening heart defects such as arrhythmias (irregular heart beat) and ventricular septal defects (“holes in the heart”). looking at the entirety of the genetic material that gives heart cells their unique identity. incorrect on-and-off switching of genes during fetal development can lead to congenital heart disease — some forms of which may not be apparent until adulthood. the scientists took embryonic stem cells from mice and reprogrammed them into beating heart cells by mimicking embryonic development in a petri dish. Next, they extracted the DNA from developing and mature heart cells, using an advanced gene-sequencing technique called ChIP-seq that lets scientists “see” the epigenetic signatures written in the DNA. http://ScienceDaily.org/Scientists Map the Genomic Blueprint of the Heart. ScienceDaily. from differential gene expression data. identify the transcription factors most likely associated with the sets expression data. perform an upstream analysis from the identified transcription factor. clearly producing relevant results, and belief in the performance of the analysis tools is established. developed resistance or pathway elucidation. analysis time for the above experiments was less than one minute. The performance, speed, and ease of use can only be characterized as very good, perhaps leading to breakthroughs when extended and used creatively. Ingenuity’s new transcription factor analysis tool in IPA, coupled with Ingenuity’s established upstream grow tools, should be strongly considered for every lab analyzing differential expression data. affyrma, genelowvalfilter, genevarfilter, mattest, and mavolcanoplot. 3. miR-200a regulates Nrf2 activation by targeting Keap1 mRNA in breast cancer cells. Eades G, Yang M, Yao Y, Zhang Y, Zhou Q. J Biol Chem. 2011 Nov 25;286(47):40725-33. Epub 2011 Sep 16.
http://JBiolChem.com/miR-200a regulates Nrf2 activation by targeting Keap1 mRNA in breast cancer cells. activates the expression of cellular detoxifying enzymes. results in cytoplasmic Nrf2 degradation. and activation of Nrf2-dependent NAD(P)H-quinone oxidoreductase 1 (NQO1) gene transcription. reactivating the Nrf2-dependent antioxidant pathway in breast cancer. publicly-available one-finger archives provides a rapid method to create proteins that can recognize a very broad spectrum of DNA sequences. be inherently inefficient due to its insensitivity to context-dependent effects. B-score cut-off of 15 were active. MA ZFNs are able to target more DNA sequences with higher success rates than other methods. These insightful reviews are based on the strategic data and insights from Thomson Reuters Cortellis™ for Competitive Intelligence. (A Review of April-June 2012). by the same regulatory mechanism and are altered between healthy and diseased states. As the defining catalyst that exponentially paved the way for personalized medicine, information from the published genome sequence revealed that much of the genetic variations in humans are concentrated in about 0.1 percent of the over 3 billion base pairs in the haploid DNA. Most of these variations involve substitution of a single nucleotide for another at a given location in the genetic sequence, known as single nucleotide polymorphism (SNP). together these serve as markers for locating genetic variations in DNA sequences. have a substantial effect on the encoded protein and thus influence phenotypic outcomes. Analyzing SNPs between patient population cohorts could highlight specific genotypic variations which can be correlated with specific phenotypic variations in disease predisposition and drug responses. helping to correlate gene targets with phenotypic traits of complex diseases. insufficient validation of target gene/proteins in complex diseases may be a contributing factor in the decline in R&D productivity. genomics-derived targets in their drug discovery programs. However, pipeline analysis from Cortellis for Competitive Intelligence suggests that there is still a scientific gap that has resulted in difficulty optimizing these novel genomic targets into the clinical R&D portfolios of major pharmaceutical companies, particularly outside the oncology field. Selected examples of personalized medicine product candidates in clinical development include (see TABLE 4). that integration of the personalized medicine paradigm into biopharmaceutical R&D is still fraught with challenges. incomplete association of genomic alterations with complex disease pathways and the phenotypic consequences. determining the rationale for targeted prevention or treatment of the disease. Gina Kolata. New York Times. The findings do not suggest new treatments, but they help explain how melanomas – and possibly – other cancers – develop and what drives their growth. This is a modification found in the “dark matter”, according to Dr. Levi A. Garraway, the 99 percent of DNA in a region that regulates genes. A small control region was mutated in 7 out of 10 of the tumors, commonly of one or two tiny changes. A German Team led by Rajiv Kumar (Heidelberg) and Dirk Schadendorf (Essen) looked at a family whose members tended to get melanomas. Their findings indicate that those inherited with the mutations might be born with cells that have taken the first step toward cancer. 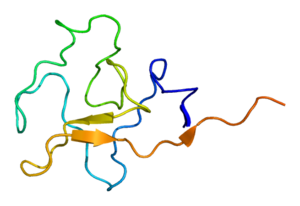 The mutations spur cells to make telomerase, that keeps the cells immortal by preventing them from losing the ends of their chromosome, the telomere. Abundant telomerase occurs in 90 percent of cancers, according to Immaculata De Vivo at Harvard Medical School. The importance of the findings is that the mechanism of telomerase involvement in cancer is now within view. But it is not clear how to block the telomerase production in cancer cells. This discussion addresses the issues raised about the direction to follow in personalized medicine. Despite the amount of work necessary to bring the clarity that is sought after, the experiments and experimental design is most essential. The link to suppressing ciliogenesis by AURA protein and CHFR at the base of the cilium, which disappears at mitosis or with proliferation. There is no accumulation by upregulation of PDGF under starvation by the cancer cells compared to the effect in WT OSE. Here we have a systematic combination of signaling events tied to changes in putative biomarkers that occur synchronously in Ov cancer cell lines. it appears that they would take the path to apoptosis (under starvation). Even without more information, this cluster is what one wants to have in a “syndromic classification”. The information used to form the classification entails the identification of strong ‘signaling-related’ biomarkers. The Gli2 peptide has to be part of this. others would be quite high. This obeys the classification rules established by feature identification, and the information gain described by Solomon Kullback and extended by Akaike. There is biochemical expression in terms of their synthetic function – TPN organs. I would have to put the liver into that broad class. Other organs – skeletal muscle & heart – transform substrate into energy or work. (Where you might also put intestinal smooth muscle). The structure of the genome is not as we assumed – based on the application of Fractal Geometry. Current body of evidence is building that can reveal a more complete view of genome function. I have just completed a most comprehensive review of the Human Genome Project. There are key research collaborations, problems in deciphering the underlying structure of the genome, and there are also both obstacles and insights to elucidating the complexity of the final model. This is because of frequent observations of molecular problems in folding and other interactions between nucleotides that challenge the sufficiency of the original DNA model proposed by Watson and Crick. This has come about because of breakthrough innovation in technology and in computational methods. Molecular biology and growth was primarily initiated on biochemical structural paradigms aiming to define functional spatial dynamics of molecules via assignation of various types of bondings – covalent and non-covalent – hydrogen, ionic , dipole-dipole, hydrophobic interactions. Lab techniques based on z/m paradigm allowed separation, isolation and identification of bio substances with a general marker identity finding correlation between physiological/cellular states. The development of electronic/x-ray technologies allowed zooming in nano space without capturing time. NMR technology identified the existence of space topology of initial and final atomic states giving a highly limited light on time – energy axis of atomic interactions. Sequence technology and genomic perturbations shed light on uncertainty of genomic dynamics and regulators of functional ever expanding networks. Transition state theory coupled to structural complexity identification and enzymatic mechanisms ran up parallel to work on various phenomena of strings of nucleotides (oligomers and polymers) – illusion/observation of constructing models on the dynamics of protein-dna-rna interference. The physical energetic constrains of biochemistry were inapplicable in open biological systems. Biologists have accepted observation as a sole driver towards re-evaluating models. 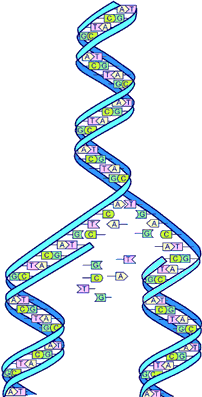 the amount of information of quantum matter within a single codon is larger than that of a single amino acid. This violated all physical laws/principles known to work with a limited degree of certainty. 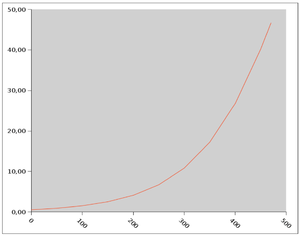 The limited amount of information analyzed by conventional sequence identity led to the notion of applicability of statistical measures of and PCR technology. Mutations were identified over larger scale of data. Quantum chemistry itself is being limited due discrete space/energy constrains, thus it transformed into concepts/principles in biology that possess highly limited physical values whatsoever. Large scale code computational data run into uncertainty of the processes of evolution and its consequence of signaling transformation. All drugs were ‘lucky based’ applicability and/or discovery with largely unpredictable side effect over time. 2. Please start a now post DRAFT copy point 1 and 2 dealing with the Heart DIsease, I will be providing you additional material and both will co-curate an articel for the Cardiovascular e-Book. This need e completed between the Genomoics and the start of the Metabolomics, since the Cardiovascular e-Book goes to Amazon before the Metabolomics. Please prune here the references from our Journal to include ONLY disease entries, please remove disease entries from Part IIB and selectively from Part IIA. 5. I am more then ever convinced in the MERIT and BENEFIT harvested by the Genomics e-Book by diving Part II into IIA, IIB, IIC allowing among other advantages related to cognitive clarity to position each piece in a different order in the e-Book. Thank you again, great, great work.